Versatile, lightweight and low priced study chromatic button accordion for children. 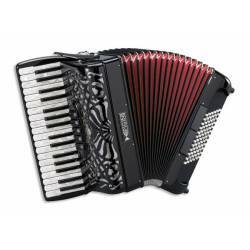 It has 31 keys, 2 voices, 2 registers on the right hand, and 4 voices, 40 bass on the left hand. Perfectly adapted to a child's anatomy. The Nova Series allows you to create incredible soundscapes and explore genres as diverse as classical music, jazz, folk, even pop and rock. With their ergonomic button design, you‘ll automatically have the right playing position. 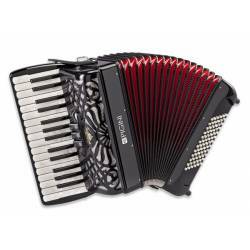 Also, but ton boards cover a bigger range than similar-sized piano accordions. 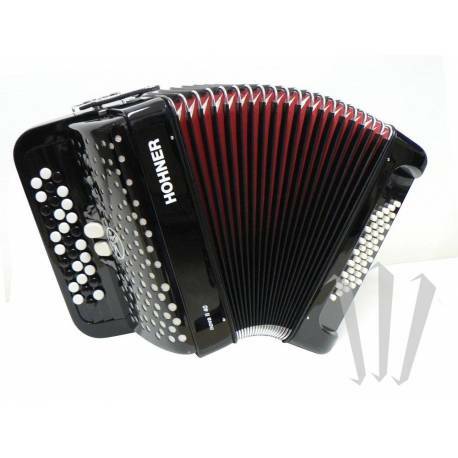 Although quite small, the accordions from the Nova Series have the typical HOHNER sound and an incredible range.